Marina is a pharmaceutical researcher who goes to the Amazon to investigate the death of her colleague. The book begins with many questions that keep you turning pages. Who is this Dr. Swenson and what is the research that she is doing deep in the Amazon? Why is Vogel willing to pay so much to keep her out there and why is everyone so afraid of her? With more questions than answers, and against her better judgement, Marina embarks on a journey that will change lives forever. Before you read ‘State of Wonder’, I recommend listening to an interview she has with Shelagh Rogers on The Next Chapter. 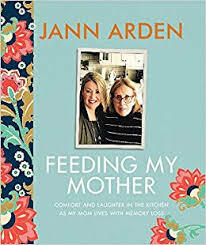 The author, who is an amazing speaker and very funny, reads a section that is guaranteed to whet your appetite for the book. Click on the website below and scroll down to find either the short version (20 min) on the June 20 show, or else the full conversation below it. You’ll catch all the funny bits in the short version, but not the full reading of the snake story which comes at the beginning of the long interview. Ann Patchett has done it again! Just as compelling as her award winning ‘Bel Canto’, she has created an exotic story that you will not soon forget! Side Note: Did you ever wonder why the online bookstore is called Amazon? Too bad, no snake story here, but there are actually two reasons. It was first called ‘cadabra.com’ but the founder thought that sounded too much like “cadaver”. Also, at that time on the internet when people looked to Yahoo for listings, Amazon would put them at the top of the alphabetical list! 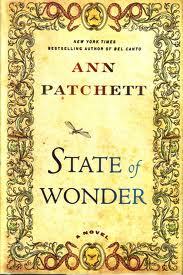 This entry was posted in Fiction, Four Star and tagged Ann Patchett, State of Wonder. Bookmark the permalink.